Crafted in their own factory in Nottingham, all Gunn and Moore English Willow bats are lovingly and skilfully produced by experts with over 125 years of craft experience. 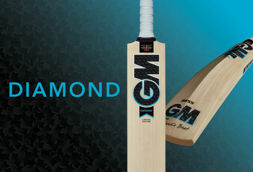 Gunn and Moore cricket bats are crafted with this extensive experience, combined with the very latest DXM Technology to give you the highest quality willow on the market. Returning for the 2019 Cricket season Gunn & Moore Cricket Bats will be available in different sized blades to closer match your cricket bat to your personal preferences and ball striking style. 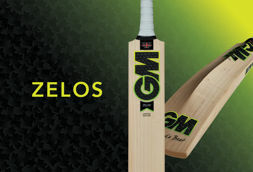 GM have introduced three brand new models for 2019 in the Haze and Zelos range and the return of the iconic Hero range exclusive to All Rounder Cricket. All GM bats conform to the new MCC Law 5 regulations in regards to max edge and spine size. 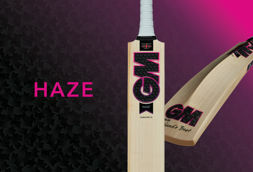 Gunn and Moore Cricket Bats have been used by cricketing great's of the past such as Michael Vaughan, Marcus Trescothick, Graeme Smith but are also being used worldwide by current players including rising England star and winner of the 2016 PCA Player of the Year and PCA Young Player of the year Ben Duckett, England batsman and IPL star James Vince as well as Ross Taylor of New Zealand and South African starlet Qunton De Kock. The brand new ST30 range designed in conjunction with leading womens cricketer Sarah Taylor, is specifically tailored to the demands of the womens game. 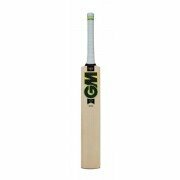 Chrome L555 - A big profile traditional length cricket bat with massive contoured edges at the drive zone. Mana L540 - A shortened blade design with substantial edges in the drive zone giving a dynamic sweet spot. 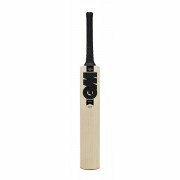 Paragon L555 - The traditional length Paragon cricket bats are known for their large profile and incredibly light pick-up which is the result of a high swell position and full concaved profile for more powerful performance. 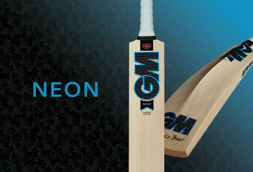 Neon L540 - The Neon features a shortened blade design to give a dynamic sweetspot. It has a slightly offset edge for an increased balance to power ratio. Kaha L525 - The Kaha features a supershort L525 blade length and a low swell to give concentrated driving power, ideal for T20 cricket. 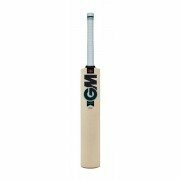 ST30 L540 - The ST30 features a slightly shorter blade and handle length specifically designed for womens cricket. Lightweight but extremely powerful. Bowl the competition over with Gunn and Moore Cricket Bats that offer advanced technology and superior performance. 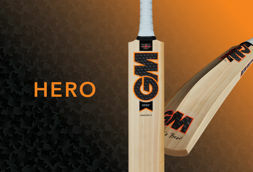 Defend your stumps with advanced Gunn and Moore Cricket Bats built by experts in the industry. 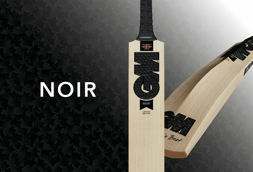 You can proudly swing a bit of Britain from England’s finest cricket bat makers with Gunn and Moore Cricket Bats. We stock an extensive collection of their 2017 range ready for you to take to the pitch. Gunn and Moore cricket bats come in 8 qualities to help you choose a grade of willow to suit your performance and budget, including Original LE, Original, 909, 808, 707, 606, 404 and 303. From their seasoned grade 4 willow to their unbleached seasoned grade 1 English willow bats; you can experience outstanding feel and a 5 star performance from your Gunn and Moore cricket bats. Fend off fast paced deliveries with their multi-piece cane handles that allow you to manoeuvre your bat quickly and smoothly. Established in 1885, Gunn and Moore have been producing advanced cricket equipment for over 120 years. 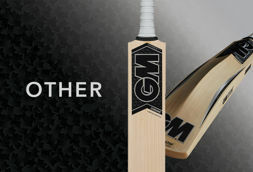 Known for their innovative cricket bat design and advanced range of cricket equipment, Gunn and Moore doesn’t disappoint when it comes to kitting out the discerning cricketer. Endorsed by English, New Zealand and Australian professional players, Gunn and Moore cricket bats appeal to the most fastidious of cricketers. 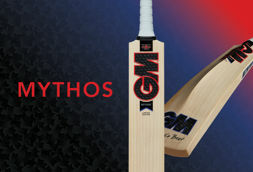 Browse our collection of Gunn and Moore cricket bats online today.